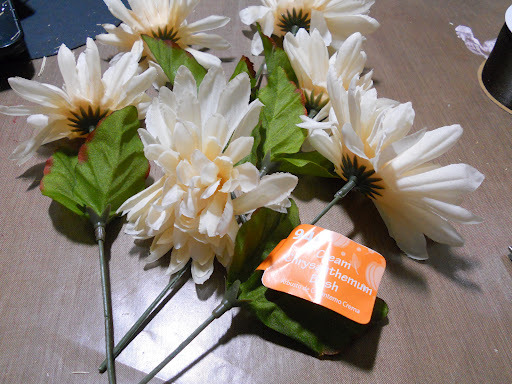 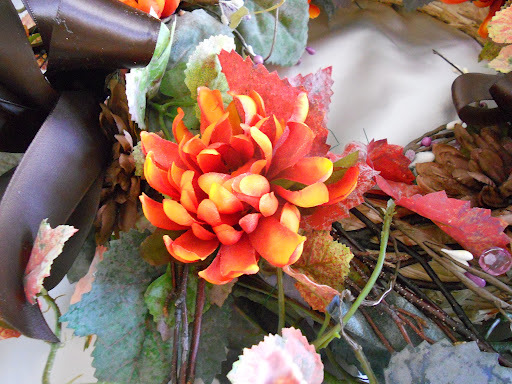 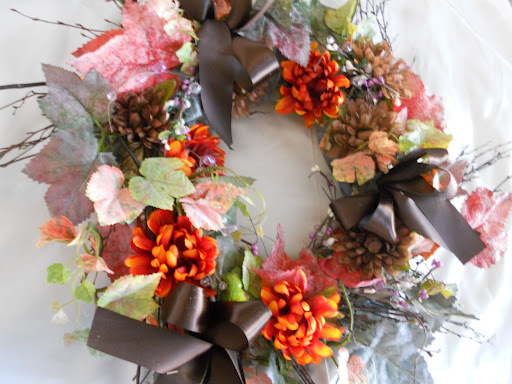 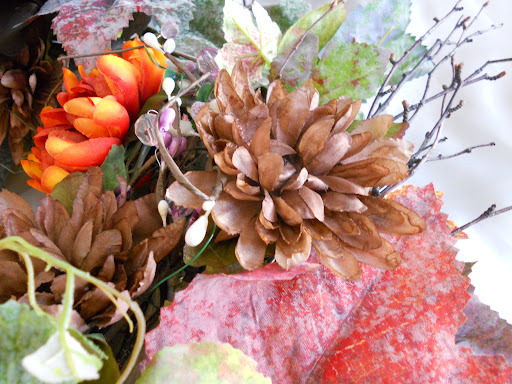 Here is a simple, fast, & inexpensive way to decorate for Autumn. 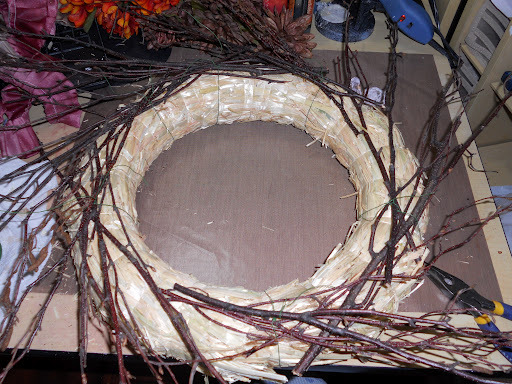 Then I added the branches with green wire. 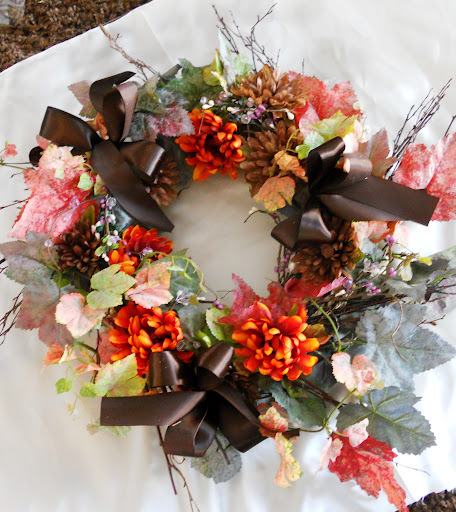 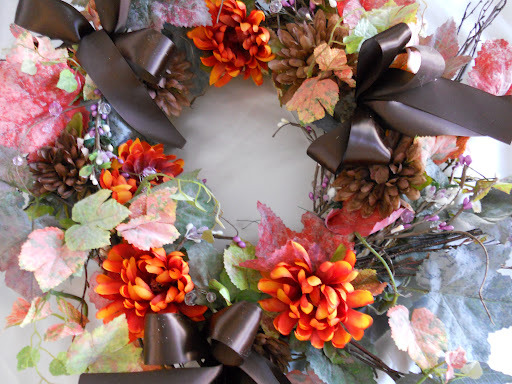 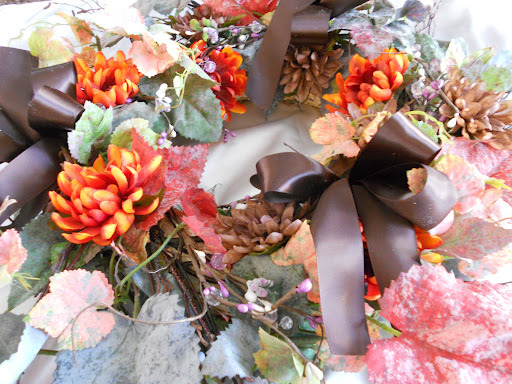 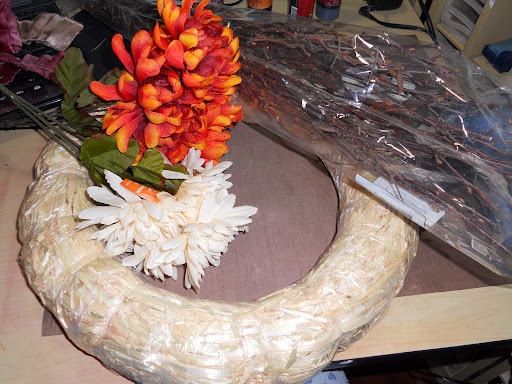 I also added the leaf vines, flowers, and finished it off with some chocolate brown ribbon. 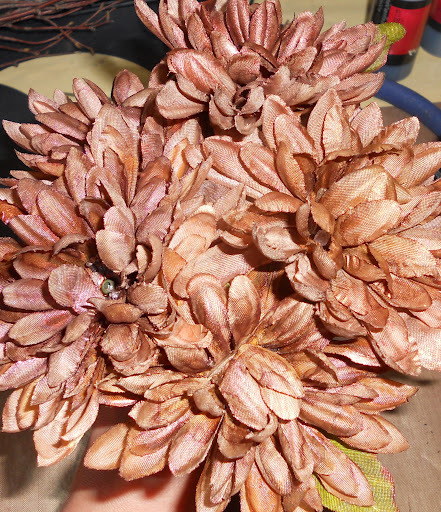 I then sprayed all over with Cactus Gold Glitz Spritz.